You want to make an impression. There is a message you want to get across to as many people as possible. You want crowds to know that your business, service, or product is available. 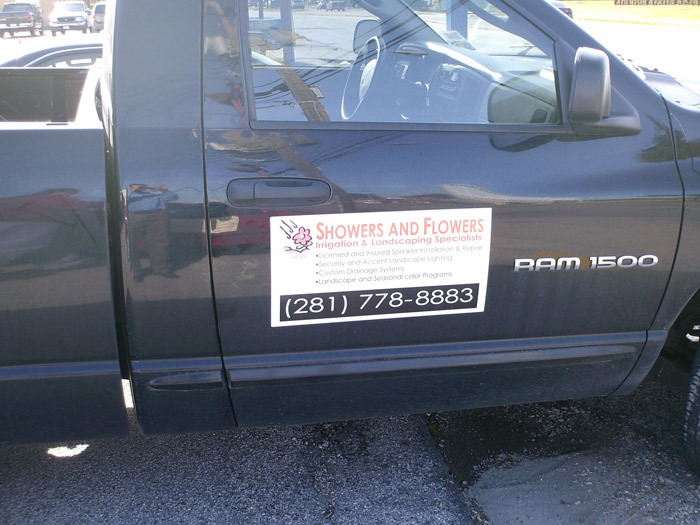 But if you don’t need to cover your car to do it, you may be in the market for aHouston vinyl vehicle decal. View more examples at our vinyl vehicle decal, graphic & magnet gallery. 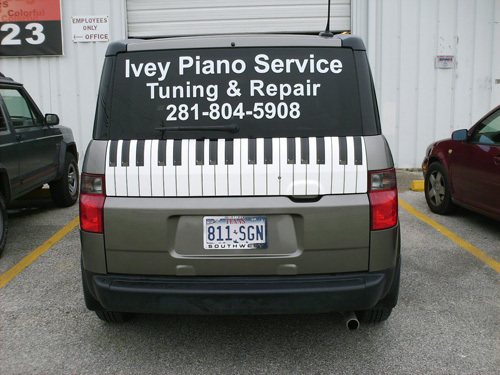 If it’s not in your budget to wrap your entire vehicle, then a digital vinyl car decal is the way to go. Because we custom design and print everything ourselves, we can work with your needs and your vehicle to maximize impact while respecting your budget. 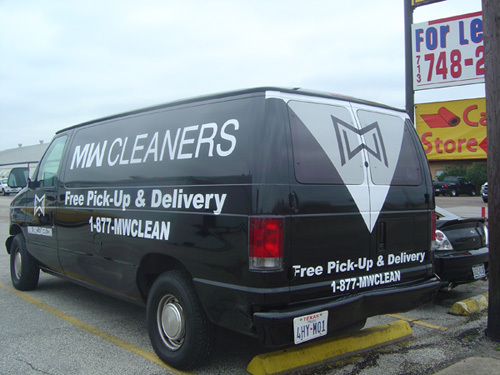 Maybe the name of your business and your phone number is enough, or there is one striking image that says it all. People pulling up next to you in traffic will get the message. If this is the case, then a digital vinyl decal is what you need. It can be as big, or as small, as you want it to be. We can help you match the color to the shade of your vehicle. And, if you like, we can install it for you. We can prepare a customized vehicle decal for you that works just like an oversized sticker. Just line it up, smooth it out, and apply it yourself. They can even be magnetic! 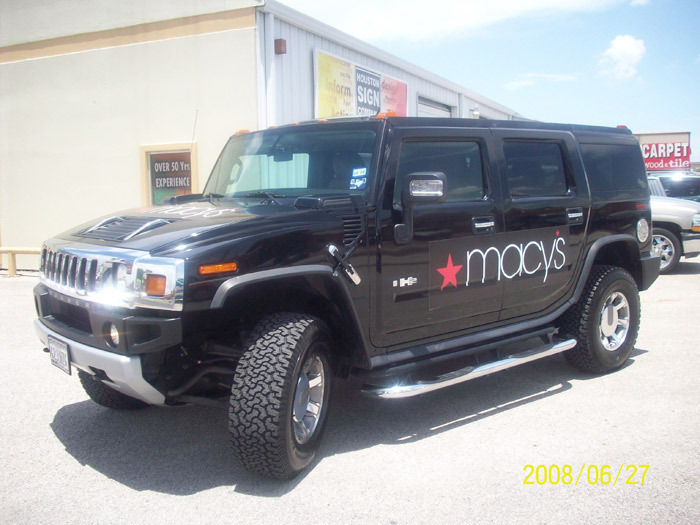 Houston Sign Company – custom vehicle wraps – can produce your custom vehicle decal digitally onto magnetic sheeting, truly making your car a dual-purpose vehicle. Just stick the decal on in the morning when you go to work, and take it off when you go out at night. Put it on, pull it off. It’s that simple.